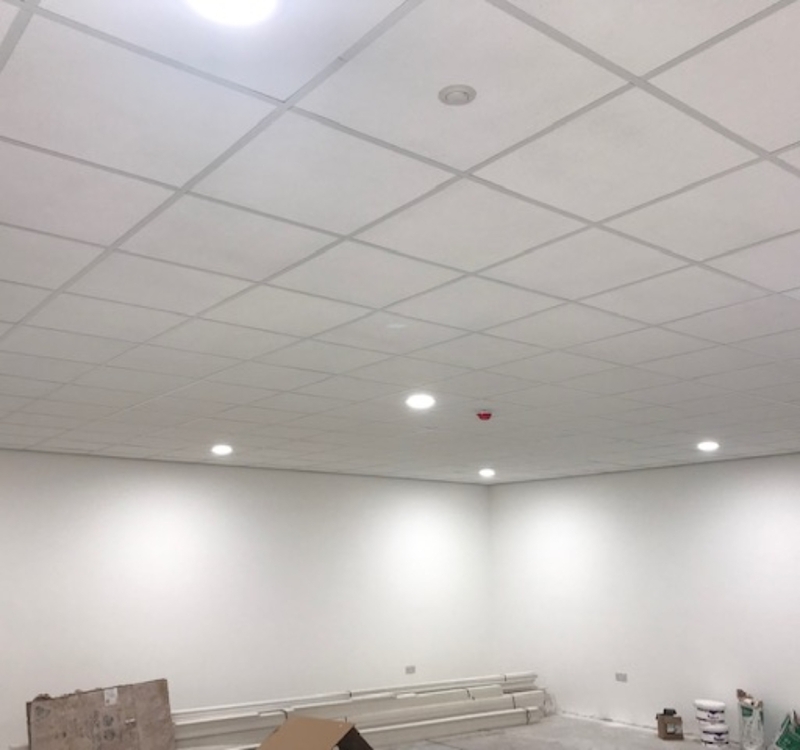 One of Granmore’s suspended ceiling fitters has been working in an office space this week. 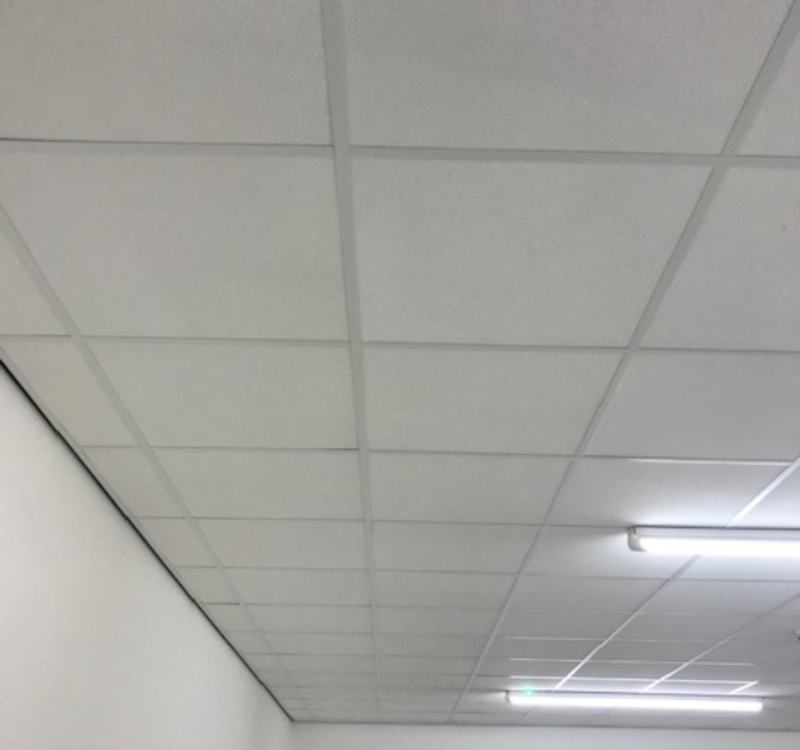 The customer is the head office of I saw it first, in Manchester and they have recently bought a new building and asked us to send suspended ceiling fitters to install new ceilings throughout the whole office area. 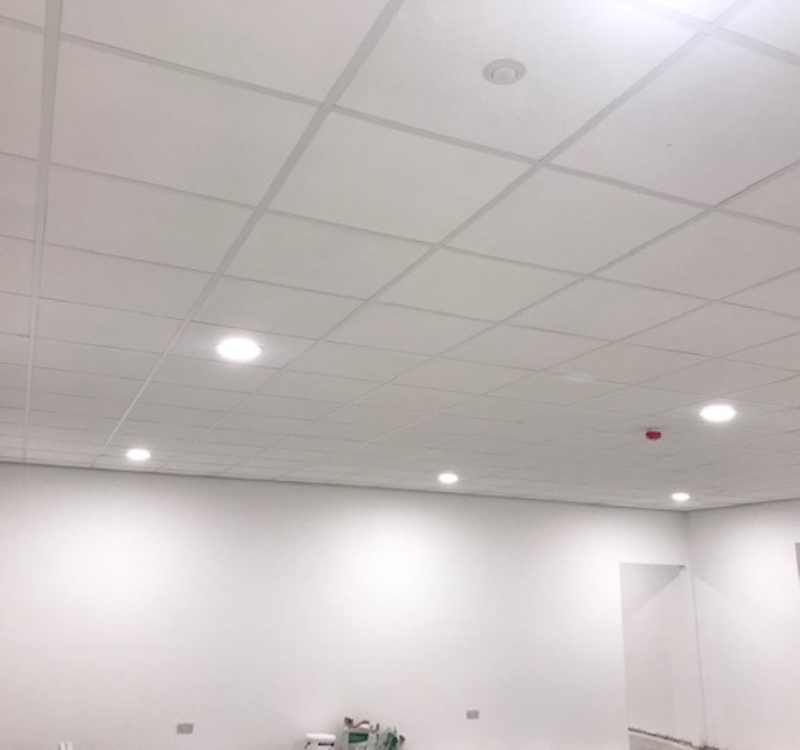 Granmore’s suspended ceiling fitters installed black shadow batten around the edge and then White Sandtone tiles and a white grid to create a more textured, luxurious look in the area. They also installed many of our 20w LED downlights throughout. The customer is very happy with the results and have asked us to quote for more areas.